Often referred to as a ‘liquid lift’, dermal fillers have become one of the most requested aesthetic treatments in the world. Whether you are young and have always wanted more dramatic lips or cheekbones, or you are aging and gravity is making its' mark, the "liquid lift" is likely to meet your needs. Our Aesthetic Nurse Practitioner, Meredith Harris, is an artist with a passion for facial aesthetics and an eye for a natural, balanced outcome. She will spend time in consultation, listening to your concerns and assessing your individual needs. Meredith will discuss with you the types of fillers available to meet the concerns you have, the treatment goals and expectations, post-treatment education, cost and follow-up. Once a plan of care is in place, treatment to assist you in meeting your goals is truly up to you! 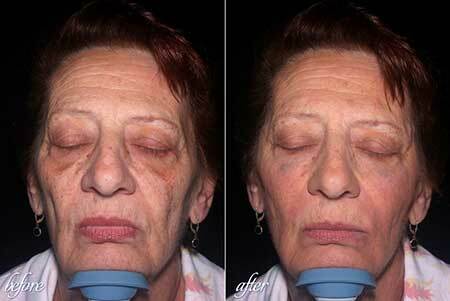 What are Dermal Filler Treatments used for? A youthful face is often associated with full temples, high cheekbones and a well-defined jaw line. The aging process causes several changes in the skeletal foundation, muscle and fat mass, and the quality of the skin. With aging, the facial bone mass diminishes, leading to a change in the base structure of the face. Above the bone, the muscle mass shrinks, leading to loss of support. Above the muscle, fat compartments that are prolific in youth, diminish and separate. Facial skin, the visible canvas, loses the ability to produce collagen, elastin and hyaluronic acid, all vital to the elasticity and volume of the skin. formation of smile-lines, marionettes and jowls. Injectable dermal fillers can be used to build up bony structure appearance, such as the temples, cheekbones and chin, thus replacing volume where it originated. This results in a visible lifting of the mid-face. Dermal fillers are also used for softening wrinkles, and creating fuller lips. Products offered in treatment include Juvederm®, Volbella®, Vollure® and Voluma®. How Long do Dermal Fillers work? Dermal fillers work instantly to plump the skin and smooth away wrinkles. Results from Juvederm® and Volbella® treatments will last an average of 6-12 months. Vollure® will last up to 18 months. Voluma® results are often seen for up 2 years. To maintain results, Meredith will discuss with you the need for follow-up appointments that will ensure the greatest longevity of your treatment. Bellafill is the only FDA approved dermal filler with a 5 year indication. Unlike the Juvederm family of fillers which are made of Hyaluronic Acid, Bellafill is a bio-stimulatory filler. When injected, Bellafill gives immediate correction while it lays a scaffold in the tissue that stimulates your own collagen to fill in around it. As the filler fades away, the correction is maintained with your own new collagen! What to Expect During Your Derma Filler Treatment? 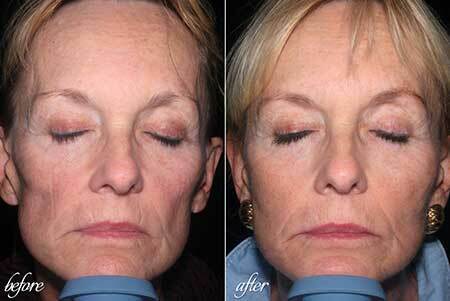 Dermal filler is injected under the skin to create fullness or diminish wrinkles. For Meredith, guest comfort is a high priority and measures are taken to minimize pain. Very fine needles or microcannulas are used with a technique that is minimally disruptive to the tissue. Results are seen instantly, and often will improve in the days following treatment as any swelling or bruising disappears. To avoid bleeding/bruising at the injections sites, we recommend abstaining from aspirin, anti-inflammatories, fish oil, St. John’s Wart, Vitamin E and green tea for at least a week prior to treatment. We invite you to come and experience our uniquely refreshing approach to anti-aging. Please call our Raleigh clinic (919) 521-8282 or fill out the form below to schedule a complimentary consultation with Meredith. Copyright © 2019 New Life Aesthetics.